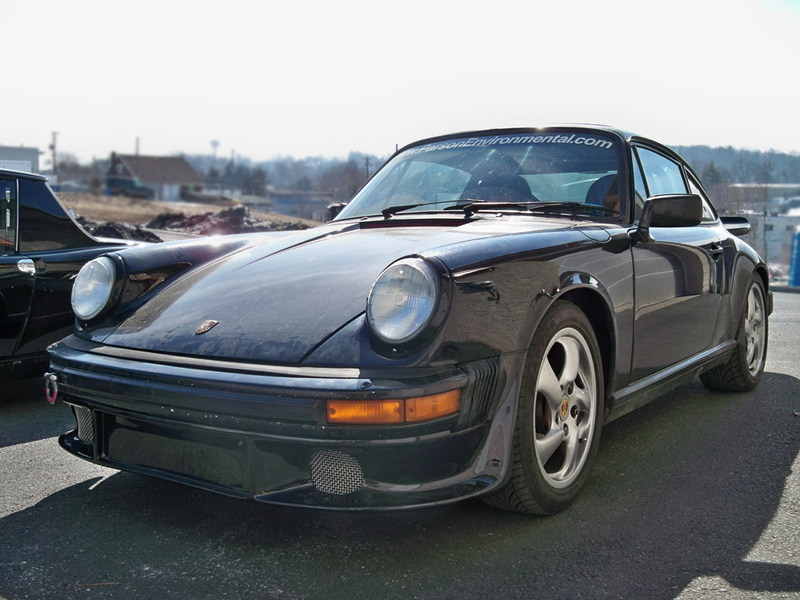 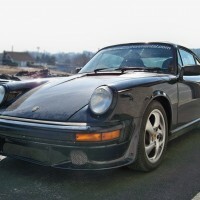 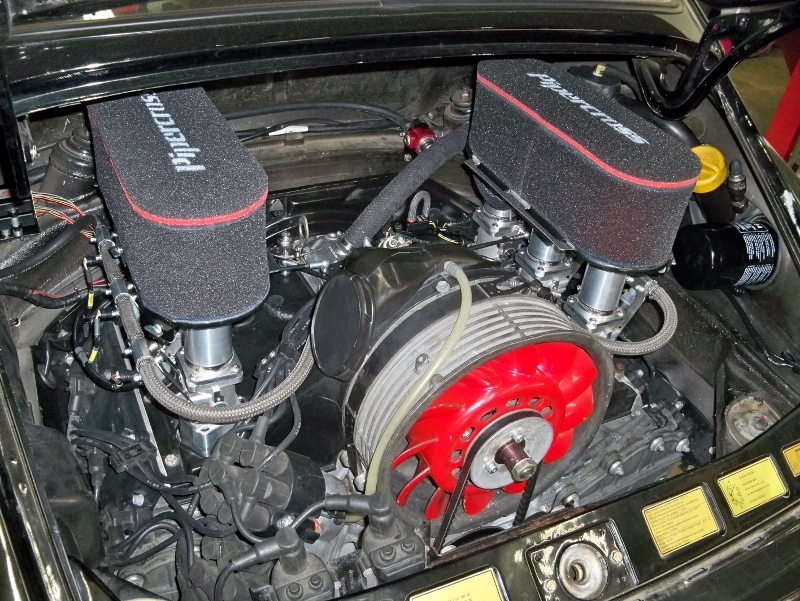 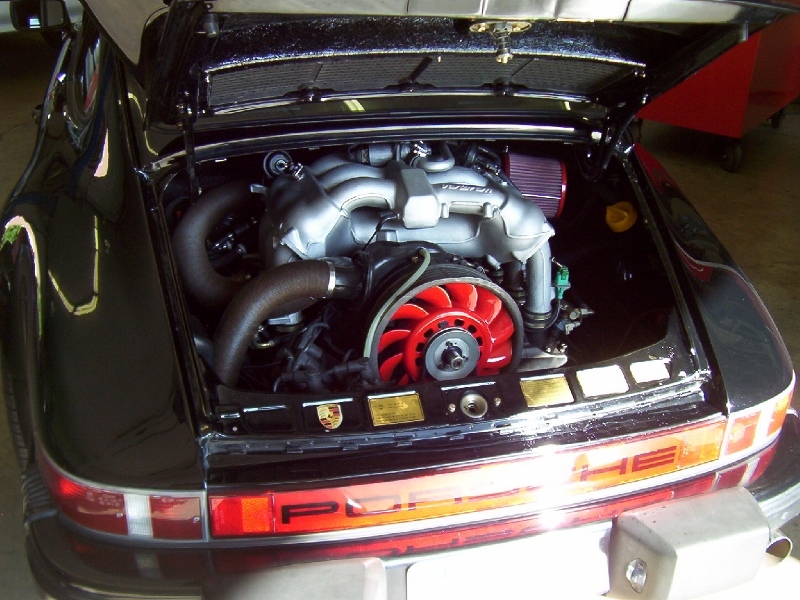 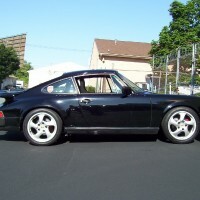 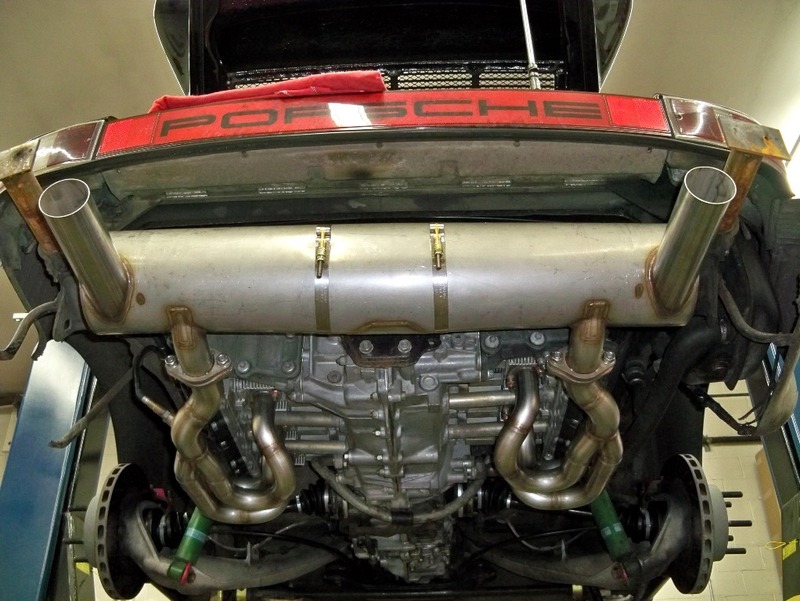 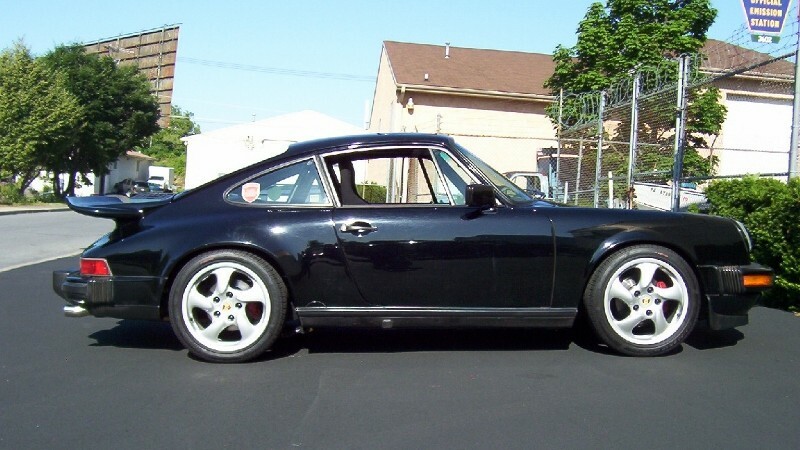 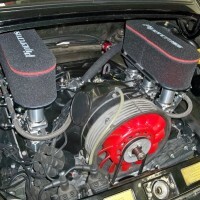 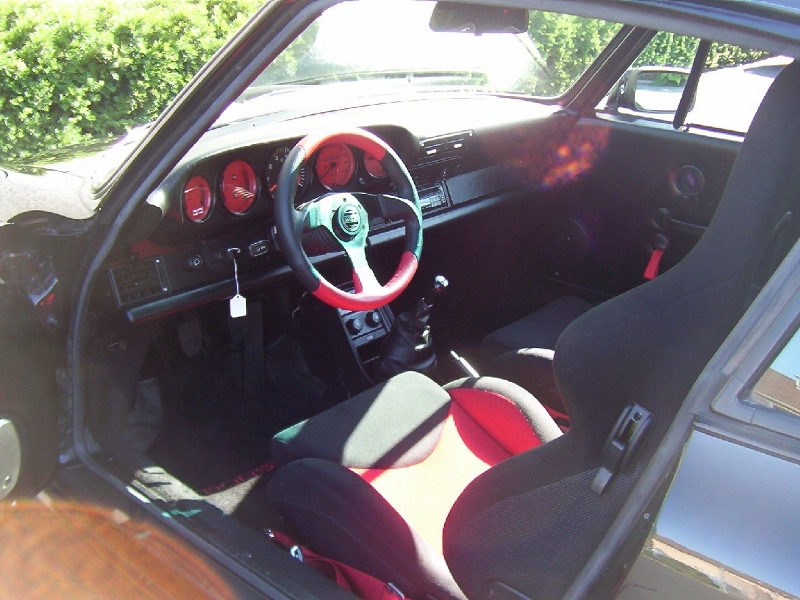 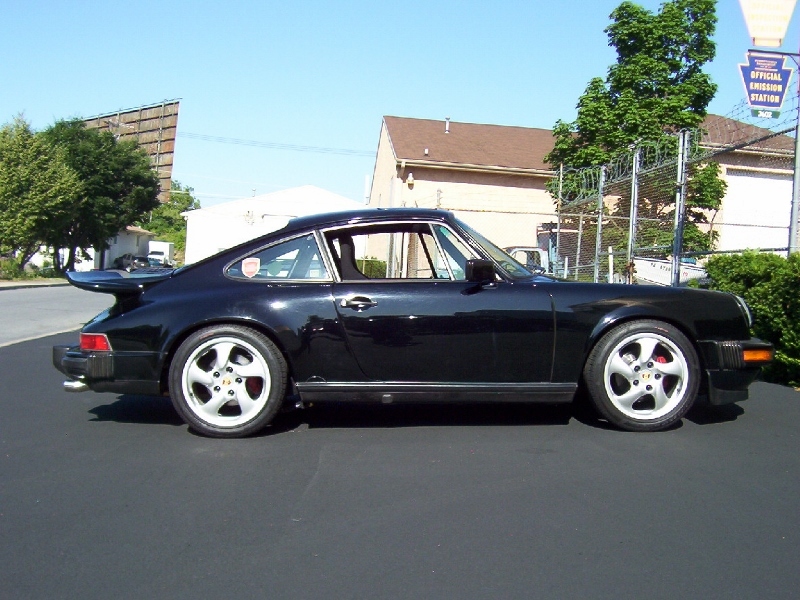 1986 Carrera, 3.6L Engine Conversion, Suspension Upgrade, and Interior Renewal » Specialty Cars Service Center, Inc. 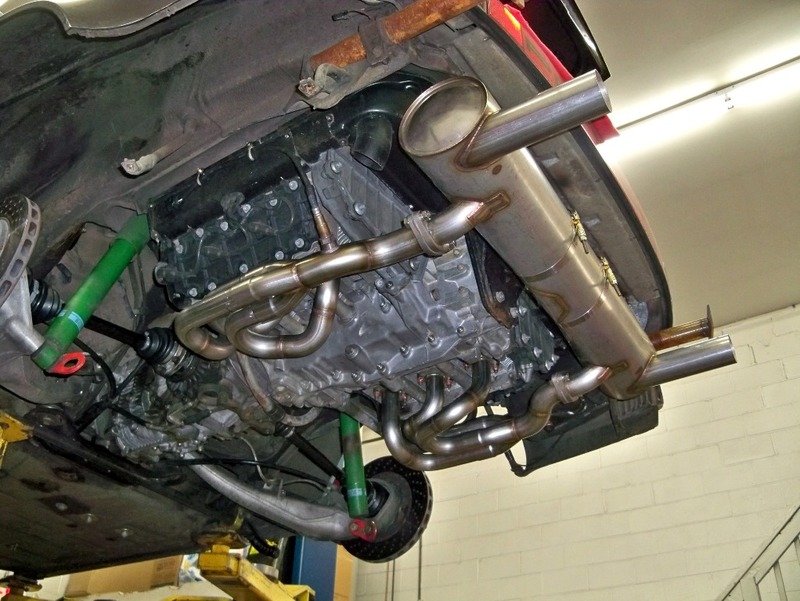 This project then continued onto a top end rebuild of the engine with custom ground camshafts, ITB’s, and KMS Engine Management System: 320hp at 6,800rpm and 277 ft/lb torque at 5300rpm. 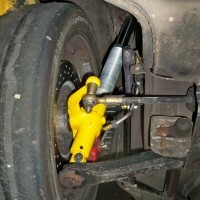 For the full details on this phase of the project, click here. 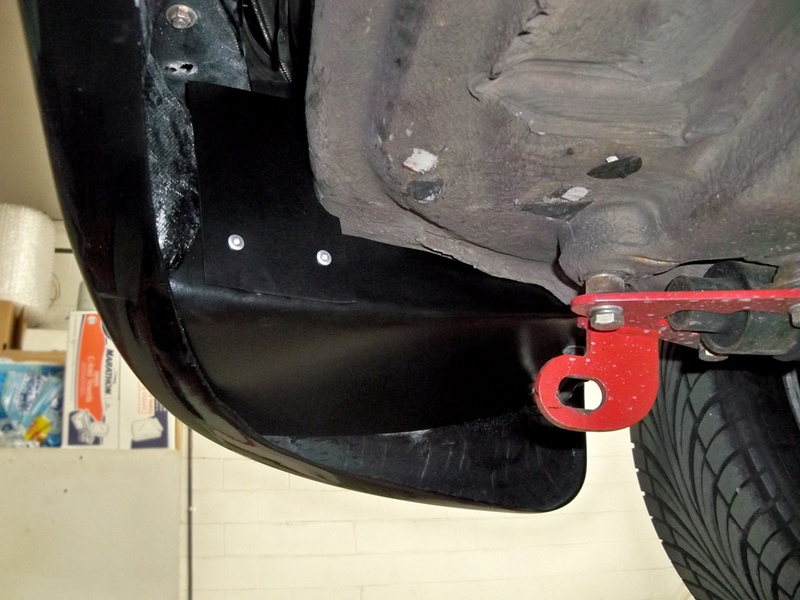 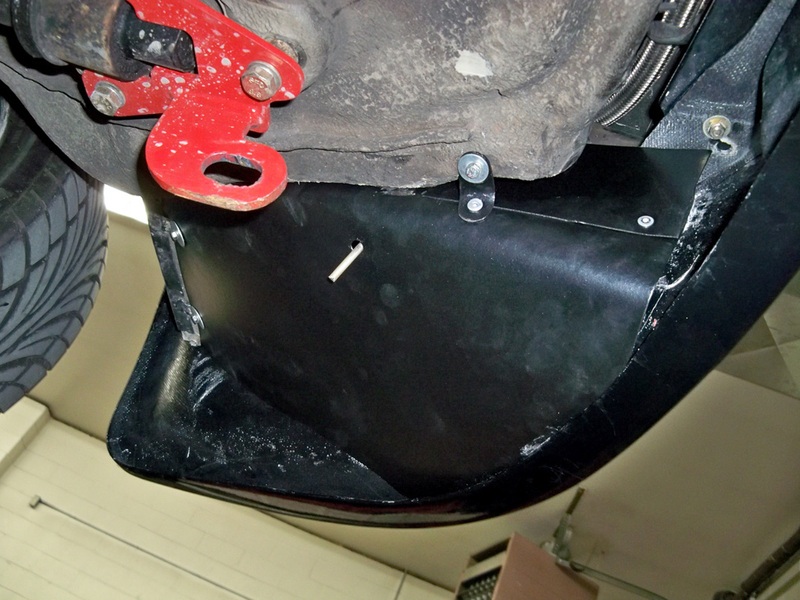 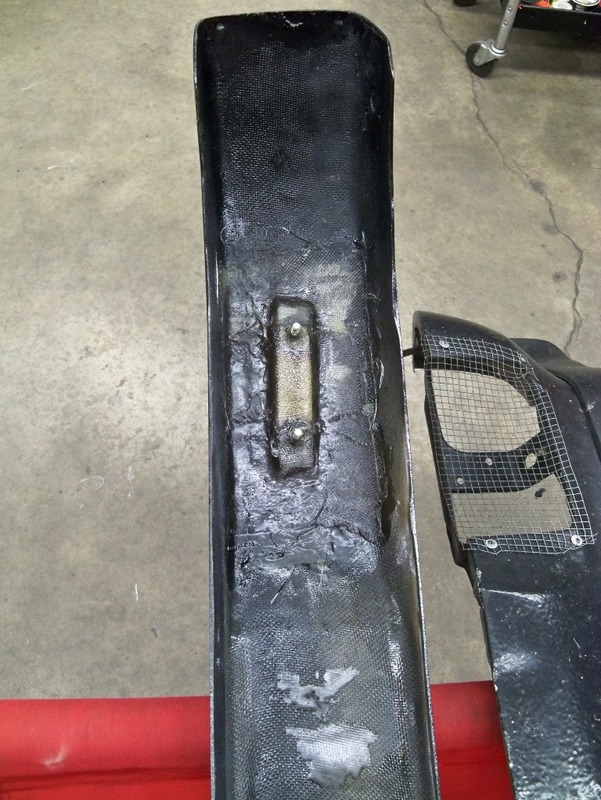 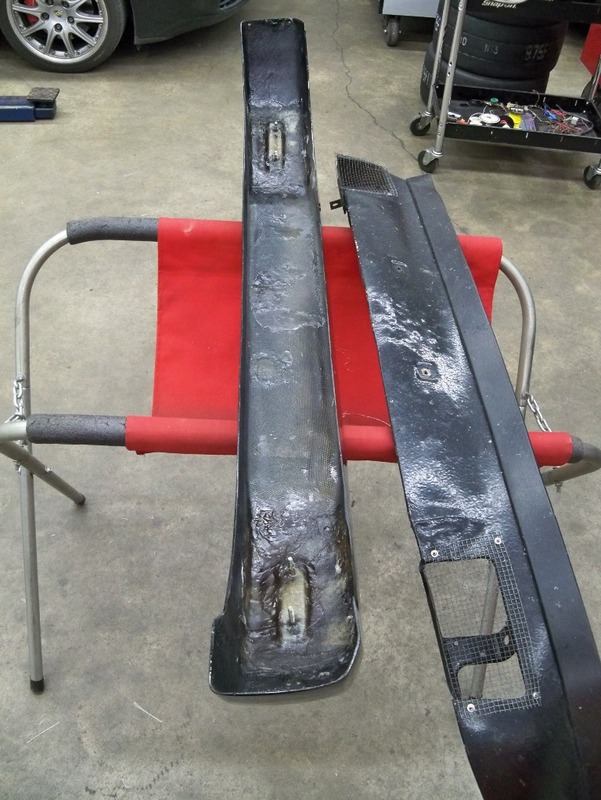 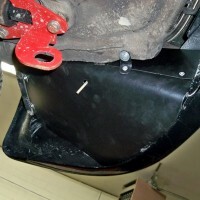 We fabricated the rear bumper brackets for this new fiberglass bumper. 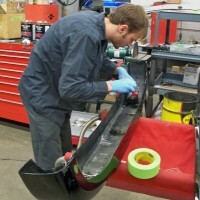 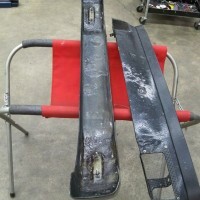 Here we are fiberglassing our new mounts into the bumper. 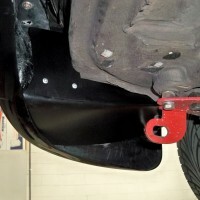 Fabricated new oil cooler ducts. 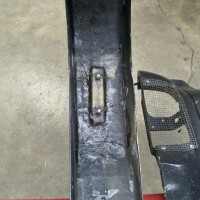 Shown here is the right side. 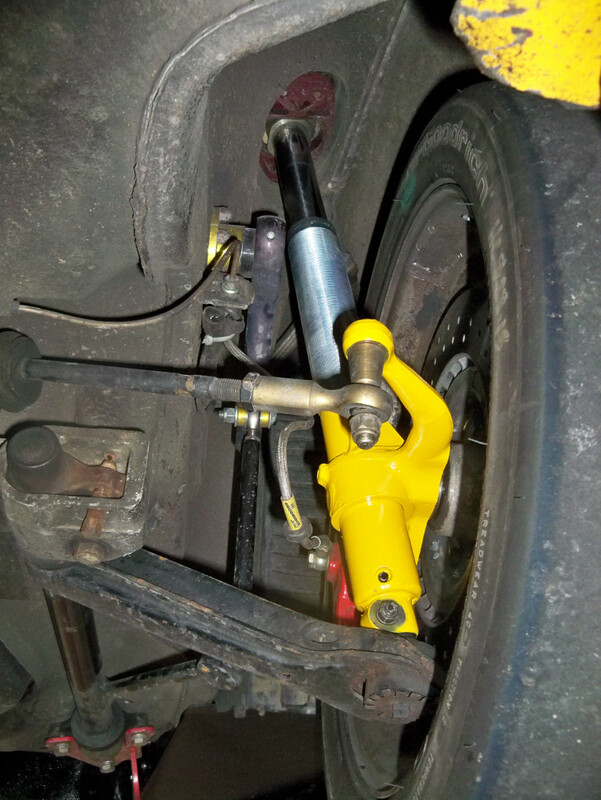 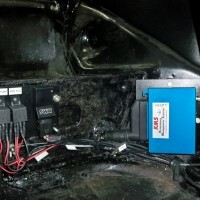 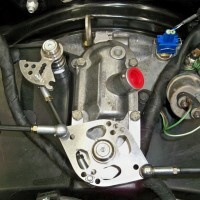 Fabrication/installation of hand throttle. 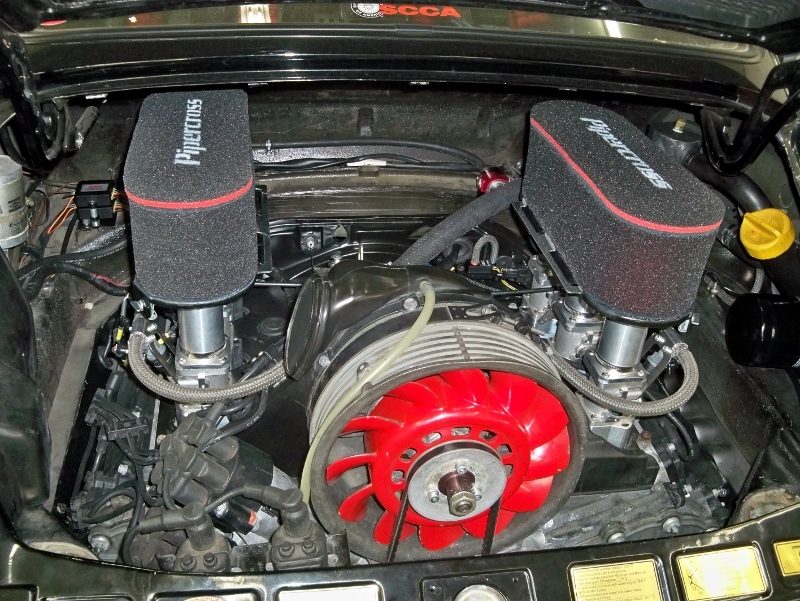 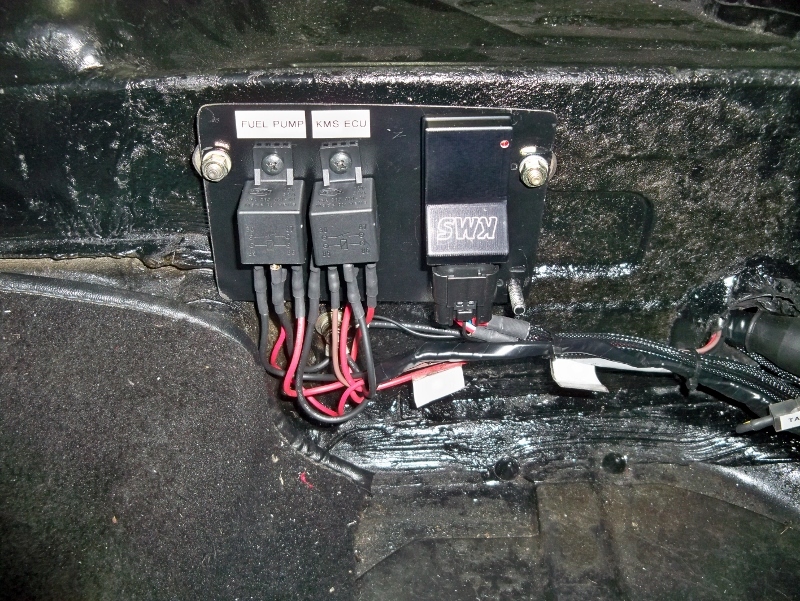 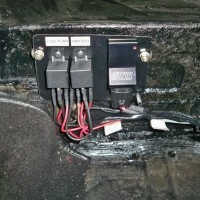 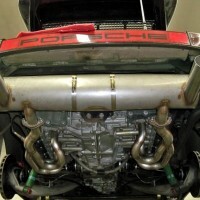 Because this car was converted to a 3.6L, we were unable to simply backdate to an early style setup. 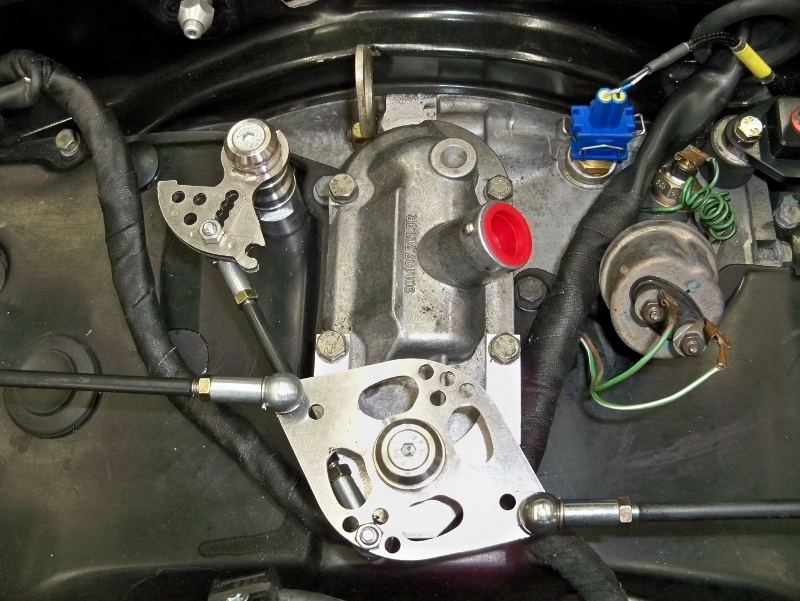 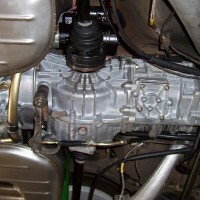 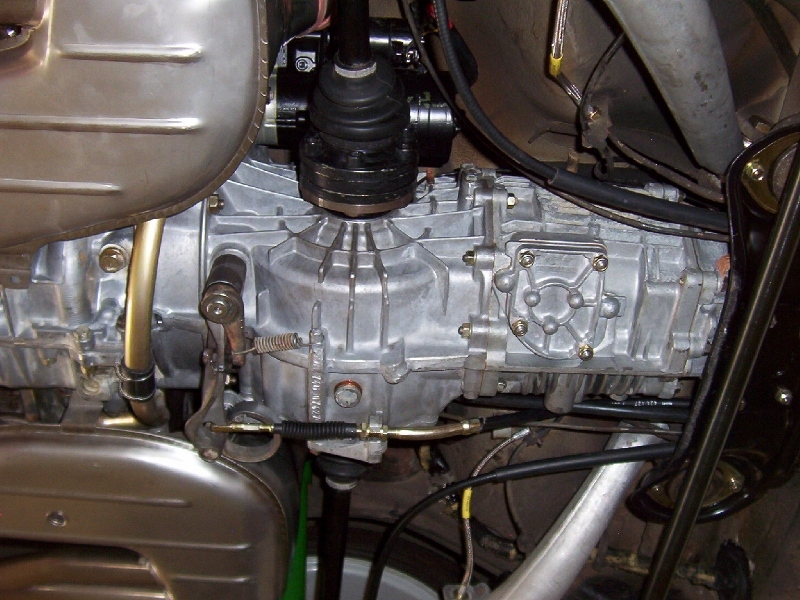 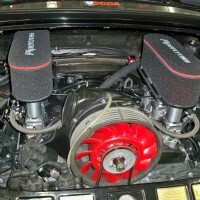 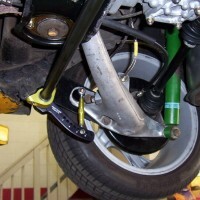 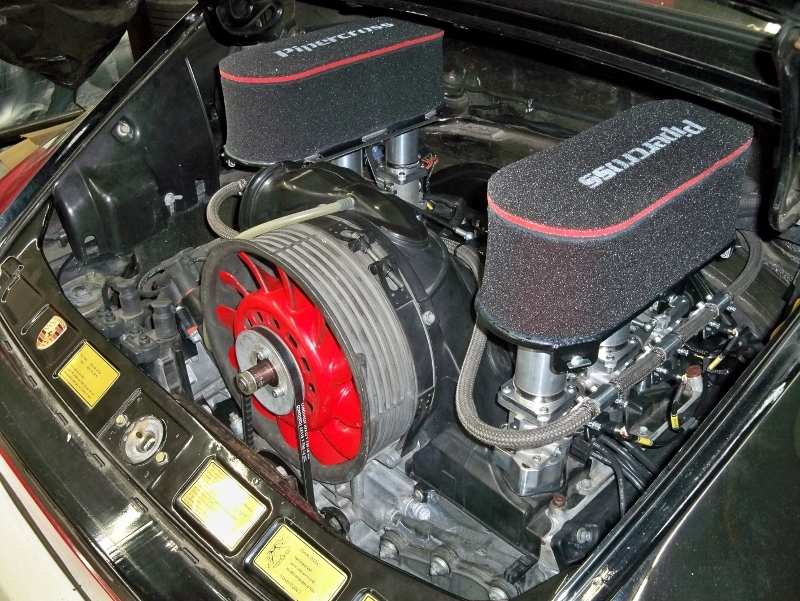 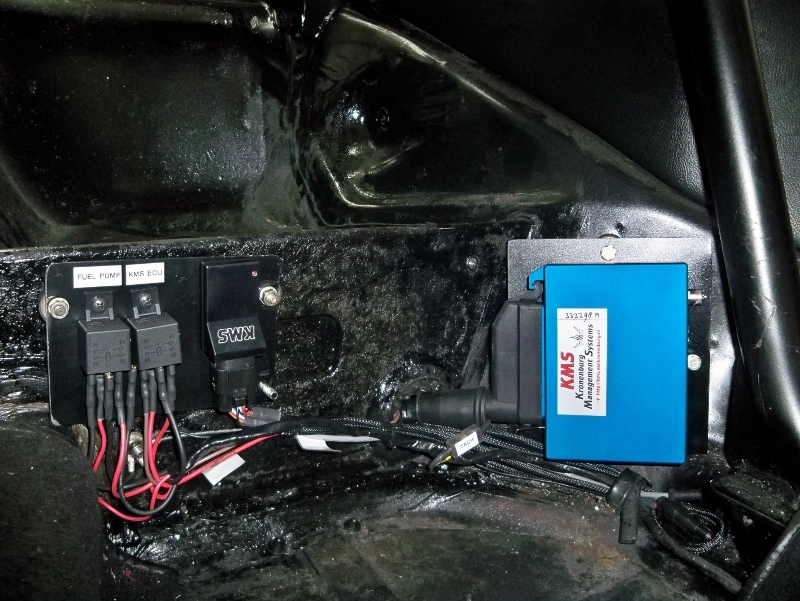 Installation of a hand throttle allows you to set the car to a higher RPM for warm-up purposes. 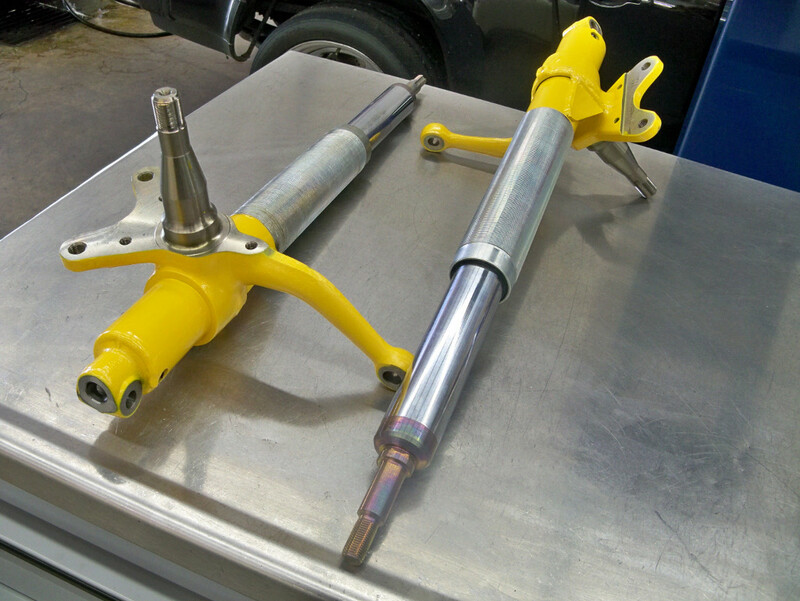 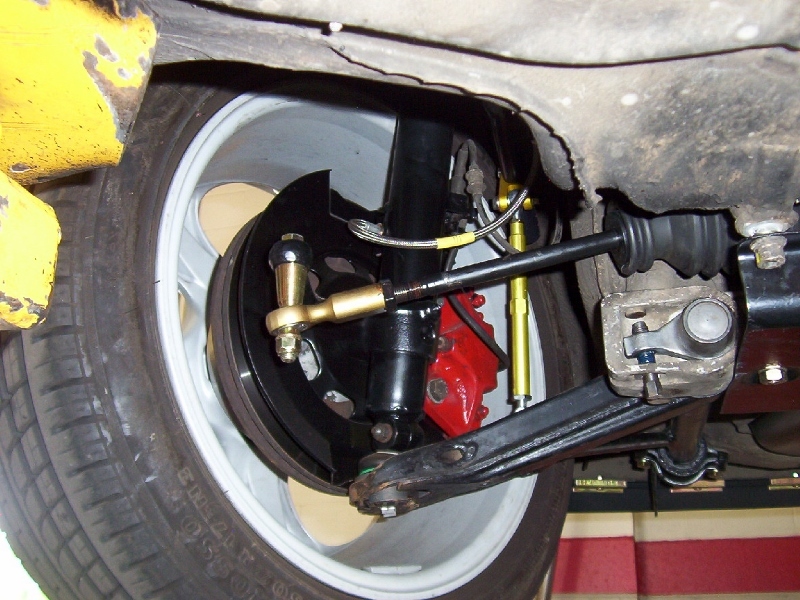 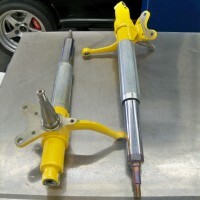 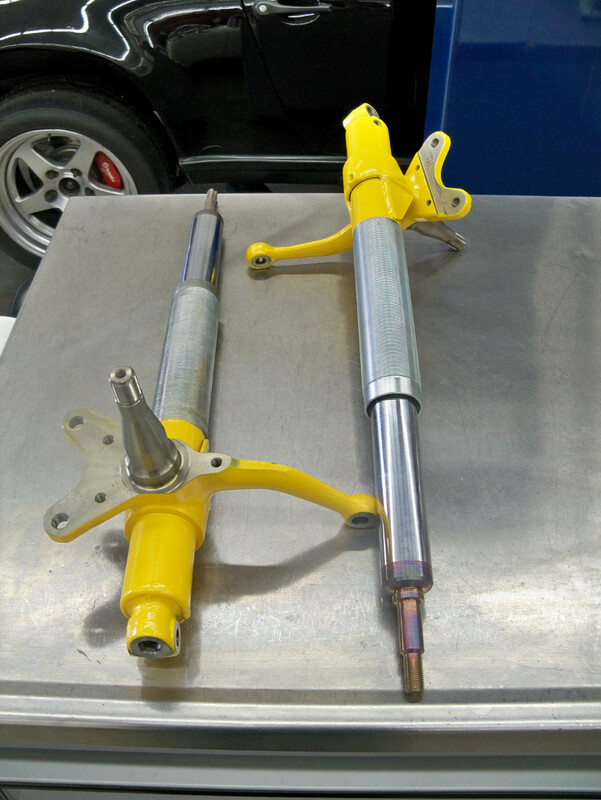 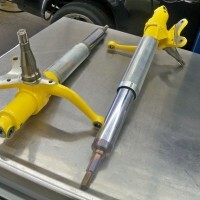 The original RSR-valved Bilstein for Boge strut assemblies had play in the bushings, which will cause camber to change while driving. 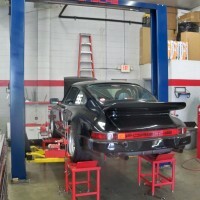 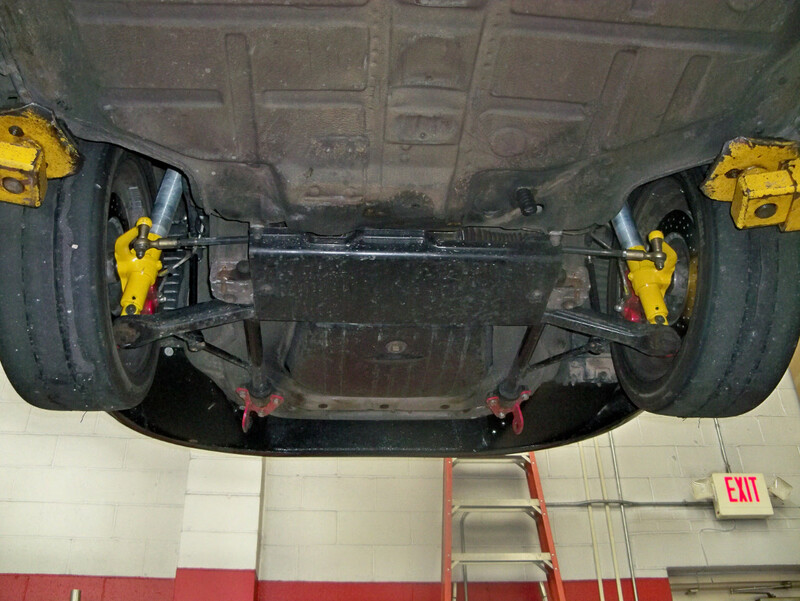 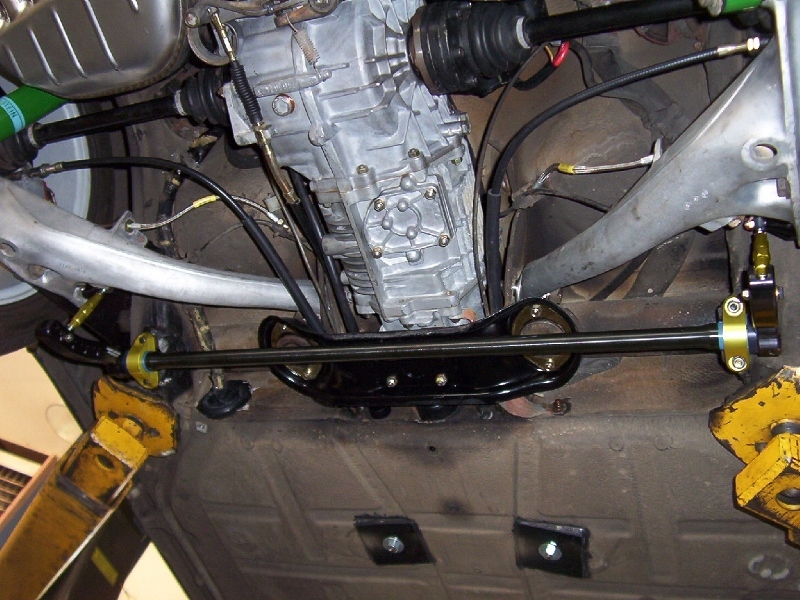 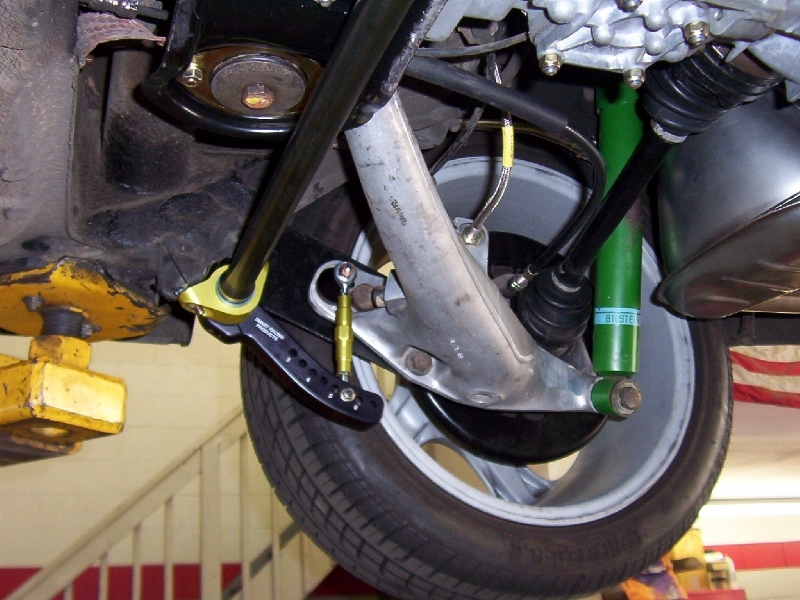 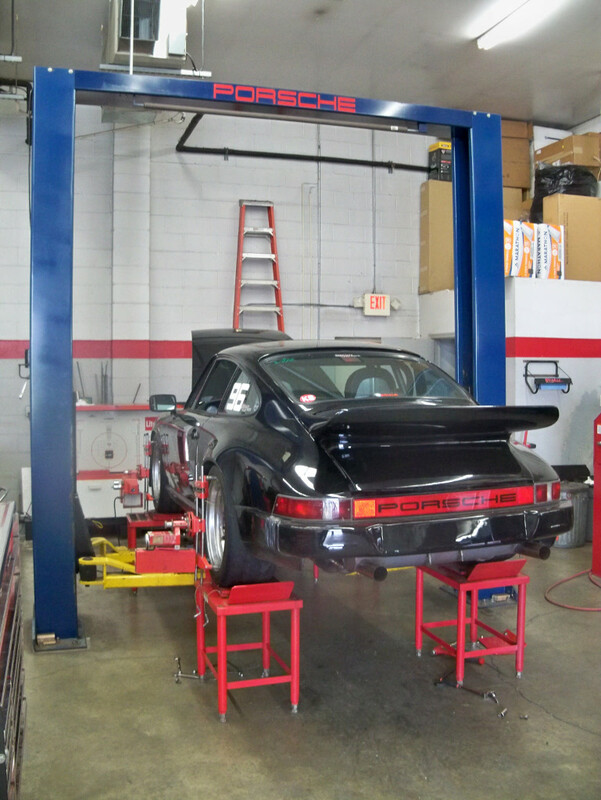 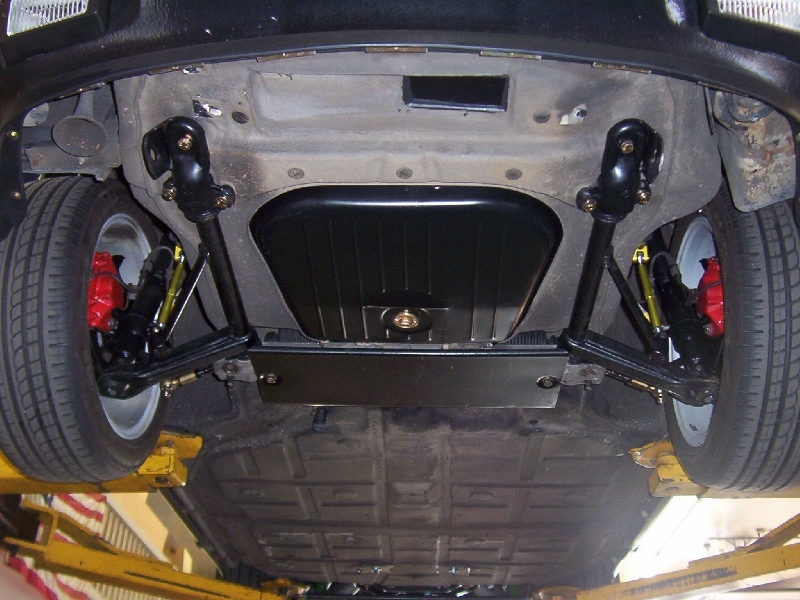 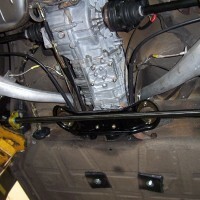 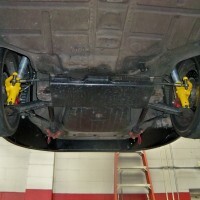 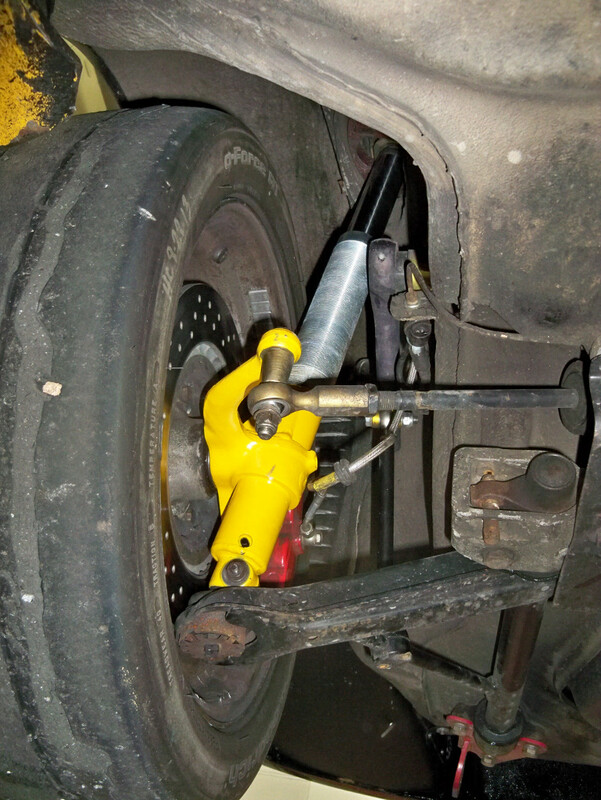 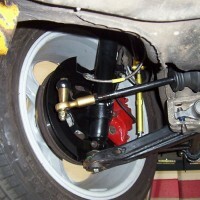 We replaced them with new RSR strut assemblies and then completed a four-wheel alignment.